The Nabucco Va, Pensiero – named after the famous Verdi chorus – with its alluring design evokes an urban, revolutionary world. With its sober 46mm-diameter case, and round bezel with tachometric scale set into the titanium, it is exceptionally resilient and water-resistant. Three subdials (30 minutes at 3 o’clock, 12 hours at 6 and small seconds at 9), along with a date-window at 4:30, are set in grey on a central zone featuring three screws for optimal time-reading, and harmoniously integrated indexes highlighted in luminescent anthracite. 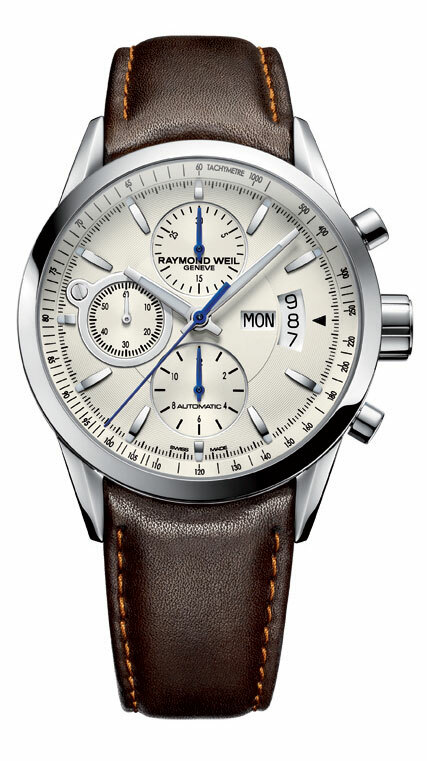 An ETA 7753 tri-compax movement, with automatic winding and 28,800 vibrations per hour, ensures the precision and reliability of this masculine chronograph which, with its screwed-down push-pieces, crown and case-back, is waterproof to a depth of 660 ft (20 bars/atm). 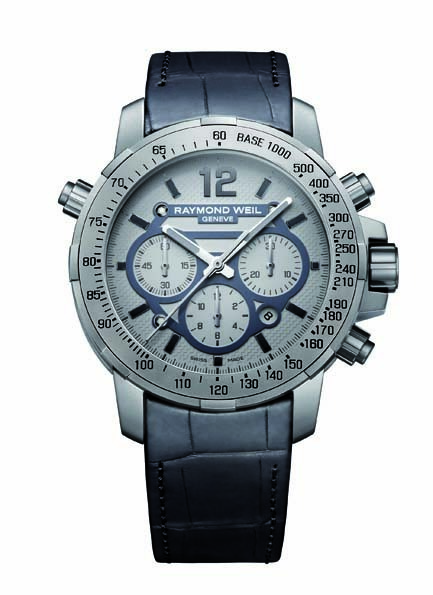 The timepiece is saddle-stitched in crocodylus niloticus leather strap with double push-piece security. Price Rs.2,29’145.